What a collection! 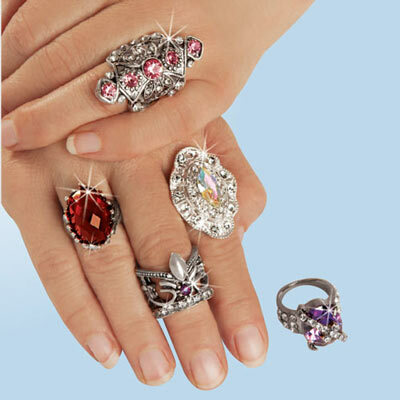 Victorian-style rings make fabulous statement pieces to match any outfit or occasion. You'll love the antique style of this classy Victorian Ring Collection in five different combinations of crystals, faceted stones and intricate settings. Set of 5.